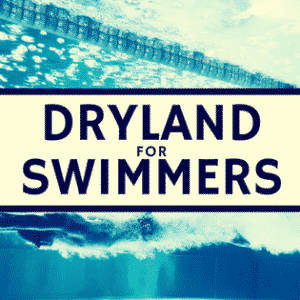 If you follow SwimSwam or Swimming World Magazine you’ve certainly noticed the great interest in ultra-short race pace training (USRPT) and elite age-group professional swimmer Michael Andrew. Posts on these topics receive massive traffic and great controversy regarding training and many other topics. HIT: High-intensity training (HIT) involves performing maximal efforts with long rest. For example, 25s sprint on 3:00. HIIT: High-intensity interval training (HIIT) utilizes maximal effort training with short rest. For example, 8×25 @ :10 rest. USRPT: Ultra short-rest race pace training (USRPT) uses a similar approach to HIIT, but provides slightly longer recovery for the avoidance of fatigue and a larger emphasis on motor skill learning. 30×[email protected]~:10 – :20 rest, emphasizing one biomechanical improvement. Traditional: Higher volume training emphasizing a period of oxidative (aerobic) training at slower than race pace or sprint pace. High-intensity training (HIT), such as 4-6×30 s all-out exercise bouts interspersed by 3–5 minutes of rest, has proved to be a potent stimulus for muscular and cardiovascular adaptation in untrained persons and athletes. In untrained participants, as little as three sessions of HIT per week for 6 weeks causes a ∼7% increase of maximal oxygen uptake (VO2 max) and reduces the respiratory exchange ratio ∼0.01 at 65% of VO2 max. The swimming community has been shifting towards high-intensity training over the past 30 years. Over the last couple of years, ultra-short race pace training (USRPT; a branch of high-intensity interval training, but very different) has gained popularity and prompted questions regarding traditional swimming training. Unfortunately, few studies have compared long-term adaptations of the two types of training, especially in elite swimmers. Mohr (2014) split sixty-two sedentary premenopausal women with mild to moderate arterial hypertension into a high-intensity training (HIT), a moderate training (MOD) group, or a control group (CON). This study suggested HIT results in greater fat loss and similar results in improvement. However, can we extrapolate this study to elite swimmers…of course not! At the muscular level in untrained subjects HIT induces mitochondrial biogenesis, reduces lactate production and increases capacity for lipid oxidation. In trained subjects, skeletal muscle oxidative enzymatic potential is not always improved but has been observed to increase after one week of the HIT in elite distance runners. Thus, the mechanisms responsible for performance improvements with HIT may be different in untrained and trained subjects. There is evidence that HIT leads to a reduction in plasma K+ concentration and increased the ability to work at high intensities. Reduced plasma K+ appears to result from increased skeletal muscle Na+, K+ pump. Once again, you can’t extrapolate results from untrained or older women to elite swimmers. 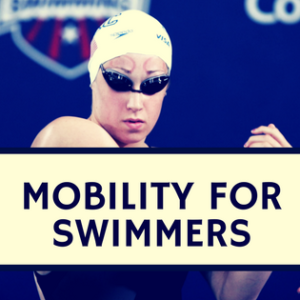 Luckily, there is a new study on elite swimmers! Kilen (2015) had forty-one healthy Danish national level senior elite swimmers (30 males and 11 females) were recruited for the study. Age: 20.0±2.7 years, height 179.9±6.5 cm and body mass 72.0±10.6 kg. The athletes had been training and competing on a regular basis for a minimum of 5 years, and they were swimming 8–16 hours per week with an average weekly distance of 20.000 m–60.000 m. The enrolled swimmers primarily competed in 50 m–200 m events. An intervention period lasting 12 weeks was carried out in the competitive mid-season from February to May. A two-group parallel longitudinal study design was used. Subjects from four different teams were randomly assigned to either an intervention group (HIT group, 14 males, and 6 females) or control group (CON group, 16 males, and 5 females). From each team, swimmers were assigned to both HIT and CON groups. In the HIT group, regular training volume was reduced by 50% and the amount of high-intensity training was more than doubled. In the CON group, training was continued as usual. Additional dry-land training with the focus on core-stability was performed for approximately 20 minutes per day and strength training with a focus on upper body strength was performed for up to 2 hours per week. Before (PRE) and after (POST) the HIT intervention period, participants underwent a series of physiological evaluations: body composition analyses; determination of swimming economy and swimming peak oxygen uptake in a custom built swim flume; a pool based 5×200 m freestyle swim test with increasing speeds and blood analyses. Additionally, performance was evaluated by analyses of 100 m freestyle all-out and 200 m freestyle completed in competition. Performance of 100 m all-out freestyle was similar before and after the intervention in both the HIT (60.4±4.0 s vs. 60.3±4.0 s) and CON (60.2±3.7 s vs. 60.6±3.8 s) group. Likewise, the performance of 200 m freestyle in a simulated competition was similar before and after the intervention in both the HIT (133.2±6.4 s vs. 132.6±7.7 s) and CON (133.5±7.0 s vs 133.3±7.6 s) group. Also, the average speed of a 200 m freestyle performed after four preceding 200 m swim with increasing speed was similar before and after the intervention in both the HIT and CON group (1.48±0.10 m×s−1 vs. 1.50±0.08 m×s−1 and 1.52±0.09 m×s−1 vs. 1.52±0.09 m×s−1). Stroke- rate and length were similar during the paced 200 m before and after the invention in both the HIT (29.9±2.3 strokes×min−1 vs. 29.8±2.3 strokes x min−1) and CON (29.4±3.3 strokes×min−1 vs. 29.0±3.6 strokes×min−1) group. VO2 max determined during freestyle swimming with increasing speed in a flume was similar before and after the intervention in both the HIT and CON group. In contrast, VO2 max expressed relative to body weight was affected by the intervention with a decrease in the HIT (55.7±7.2 ml O2×min−1×kg−1 vs. 52.7±7.0 m lO2×min−1×kg−1) and no significant difference in CON (55.0±5.9 ml O2×min−1×kg−1 vs. 53.8±6.4 ml O2×min−1×kg−1). For the HIT group, the increase did not reach statistical significance (15.4±1.6% vs. 16.3±1.6%). In the CON group body, fat percent increased from 13.9±1.5% to 14.9±1.5%. The other variables were unchanged. Clearly, much more research on HIT and swimming is needed. 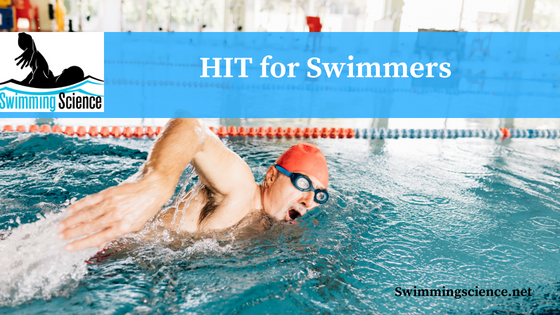 However, for elite swimmers, it suggests HIT is a possible method of improvement. It is likely many coaches already implement a form of the HIT in their training, but questions will persist if it is the only method needed for improvement. Unfortunately, this study does not answer that question. Some will suggest, that HIT worked in this study as it worked with elite swimmers and they knew how to “push themselves” harder. However, earlier work has suggested age-group junior triathletes (Zinner 2014), age-group swimmers (Sperlich 2010) and teenage swimmers ( also perform similarly with HIT compared to traditional training. Therefore, the claims many make that HIT is damaging to long-term athletic developed seems unwarranted and purely anecdotal, as HIT throughout the swimming career could be more as effective on performance and perhaps more effective in reducing injuries and increasing enjoyment. Think about, fewer strokes, less shoulder stress, reduced injuries with 50% the volume. 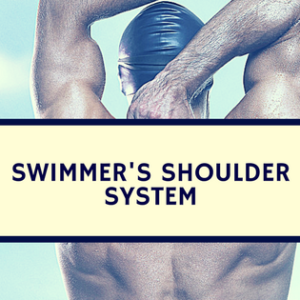 Now, the volume isn’t the only factor in shoulder injuries, but multiple studies correlate swimming volume with shoulder injuries (albeit they didn’t look at swimming intensity, which may negate the reduced volume) (Sein 2010). Also, if a swimmer can have similar results with the HIT as traditional training and enjoy it more, then why not let them try it? The zealousness of both HIT and traditional based camps is amusing, as neither group works for everyone, as the second figure shows, some swimmers had improvement with each approach. In order to know more, longer-term studies analyzing HIT and traditional training, as well as different types of HIT would be beneficial. Also, studies which have fully mature swimmers switch between the HIT and traditional training would be greatly beneficial. Unfortunately, this study design is expensive, time-consuming, and potentially limiting the swimmers potential for improvement (all the switching of programming). Nonetheless, the major findings were that more than a doubling of high-intensity training (HIT) in combination with a 50% reduction of training volume for 12 weeks did not change swimming performance, swimming specific VO2max, swimming economy, blood metabolic markers or body composition as compared to a control group. How you take this information is up to the coaches, as they can run their own experiments with their swimmers. Kilen A, Larsson TH, Jørgensen M, Johansen L, Jørgensen S, Nordsborg NB. Effects of 12 weeks high-intensity & reduced-volume training in elite athletes. PLoS One. 2014 Apr 15;9(4):e95025. doi: 10.1371/journal.pone.0095025. eCollection 2014. Mohr M, Nordsborg NB, Lindenskov A, Steinholm H, Nielsen HP, Mortensen J, Weihe P, Krustrup P. High-intensity intermittent swimming improves cardiovascular health status for women with mild hypertension. Biomed Res Int. 2014;2014:728289. doi: 10.1155/2014/728289. Epub 2014 Apr 10. Zinner C, Wahl P, Achtzehn S, Reed JL, Mester J. Acute hormonal responses before and after 2 weeks of HIT in well trained junior triathletes. Int J Sports Med. 2014 Apr;35(4):316-22. doi: 10.1055/s-0033-1353141. Epub 2013 Sep 30. Sein ML, Walton J, Linklater J, Appleyard R, Kirkbride B, Kuah D, Murrell GA. Shoulder pain in elite swimmers: primarily due to swim-volume-induced supraspinatus tendinopathy. Br J Sports Med. 2010 Feb;44(2):105-13. doi: 10.1136/bjsm.2008.047282. Epub 2008 May 7.